CECs include thousands of commonly used chemical compounds. Photo courtesy of EPA. 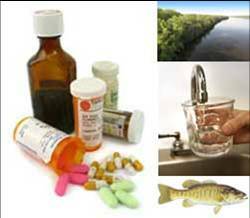 We know they are present at low levels in rivers, streams, and the marine waters of Puget Sound. However, there are many unknowns: we do not know the extent to which they occur, it is not clear how they behave in the environment, and the risks they impose are not well-defined. have the potential, or are suspected to cause adverse ecological impacts. Due to the fact that there are thousands of CECs and many unknowns, the Puget Sound Ecosystem Monitoring Program (PSEMP) has undertaken a project to prioritize and focus the monitoring and investigation of CECs in the region. The results of this project will help guide and focus regional scientists and policymakers, and be part of a rational, scientifically-based response to the presence of CECs in the environment.